Not only is it Valentine's day on Friday, but it is also the first day of London Fashion Week. The weather forecast for London predictably suggests there will be heavy rain from 9am-6pm. 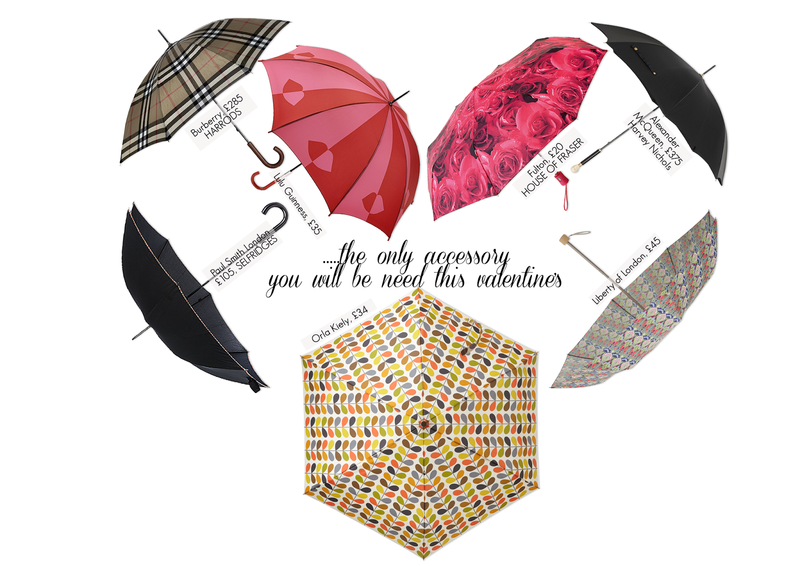 Therefore I decided to find the most sophisticated Umbrellas - a few even are 'love' themed. Whatever the weather..Happy Valentine's Day!